This is an article about loudness, making louder mixes and mixes that will go louder in mastering. Whilst volume normalization systems (which balance out the differences in volume between tracks) are being introduced across music media platforms such as Spotify, iTunes, and Youtube perceived volume continues to be a very common topic of discussion. I believe, as a mastering engineer that is more important to be able to develop recording, mixing skills and creative / musical skill sets in order to produce good music and sound and not necessarily loud sound.The fact remains that some mixes hold up better than others when it comes to loudness processing. As such I would say this article is aimed at people who are already fairly confident in their mixing ability. This means you should be competent at creating instrumentally well balanced mixes with a tonal response that will translate and hold up in general with other modern productions. As every piece of music is unique in its own right you will not find specific instruction on how to proceed as it is clearly impossible within the scope of a general article. However some useful information is given for those interested. I have to say right at the outset of the article that your focus when making music should be enjoyment, communication of feelings and ideas, progression of melodic, creative and technical skills. Music making and production is a very rewarding and skilled activity. As someone who makes music I understand the challenges that are evident both artistically, emotionally and from a performance perspective. Often there is a fine line between being inspired and taking time out to rest the musical soul and reflect on what has been produced in some kind of balanced and meaningful way. This is not an easy path to tread and most musicians find themselves having wobbles on the creative path that result in good music tracks at the end. Music making is a delicate process and I believe that loudness making should be secondary as not to add further complication to what is already a sensitive process. However when you are feeling technically confident there is no reason not to take on board the techniques of louder mixes. Loudness is a complex topic and there are multiple ways to achieve loudness and each individual method has a relationship with other methods. They are not islands unto themselves. This relationship may be in conflict with other techniques and it would be easy to take them too far and cause unpleasant sonic issues. This would defeat the object because what the real goal should be is good sounding loud mixes not loudness at the detriment of good sound. It is worth bearing in mind that every genre of music has differing perceived volume norms. It would be prudent to have a realistic expectation of what volumes can be achieved in a mix given your own recording, mixing and production experience. The first considerations for making loud mixes are extremely high quality sound sources. Once you have selected a sound source it will be difficult to change its fundamental quality through processing. The fundamental fidelity and low distortion characteristics of a sound (be it a sample, synthesizer, acoustic instrumental recording, clean amplified instrument or vocal recording etc.) is important. The lower distortion the source sounds the longer it takes for the ear to find them unacceptably distorted after “loudness” increasing processing is applied. Some sounds will appear more distorted and less acceptable to the ear more quickly than others. (such as vocals and bass) If you start with low quality sources (such as MP3 samples or already limited samples) or sound sources that need a lot of equalization to sound right you will find that loudness processing will quickly turn them into a sonic mush. It may simply be that there is a conflict between the sonic aesthetic (lo-fi/mellow sound, smooth sound as examples) you are trying to achieve and the target loudness. Sound sources come in many forms, a sample, a synth oscillator, a synth preset, an instrumental recording, vocal recording, effects processing choices etc. Getting these as clean as possible from the outset will be important. A synth example: Some synth oscillators are less distorted from the outset than others. You may find unison/stacking/super sawing of an oscillator that has a compromised (aliased) spectrum, or a oscillator/filter combo in a lead gets harsh and distorts early. Different DSP techniques mean that modeled oscillators and modeled filters can have more or less aliasing depending on how they are implemented in a synth. (i.e.digital distortion – phantom frequency in the audio band – mirror image from above the Nyquist Frequency) You may find that your marginally over cooked vocal recording starts cracking up early as the ear is extremely sensitive to distortion of the human voice…or a build up to a drop may have much more distortion as things start becoming more intense, layered and fizzy ! In some cases where a loud mix is not working out well it could be that your monitoring is not quite revealing some small amount of distortion present in a sound source. That one sound source may be the limiting factor along with mix balance as to why any specific music mix will not achieve the volume that you aspire to. In recent months I have noticed myself through actual usage that not all synthesizers produce the same subjective sound quality. Along with the choice of sound the fidelity, clarity and lack of distortion from some oscillator/filter types suggests there is quite a big difference in the distortion present in different synths, including hardware and software. Any sound source that contains distortion which is not normally accepted to be present (like a voice, natural instrument or a clean synth sound) from the outset could potentially become a limiting factor for volume. One other example is using drum samples that have already been limited. It may mean there is already inherent distortion within the samples so do be aware of this as it seems quite common in sample packs to have normalized/limited samples present, especially so on kick drums that have a significant sub bass content. Excessive sub sonic information can reduce headroom in any given sound so careful high pass filtering or low shelf eq-ing (cut) can reduce such problems. This can be a constant sub bass rumble very deep down at 10-30Hz from a synth (sub harmonic), a vocal pop (1 or 2 excursions of a mic diaphragm from a plosive) or “room rumble” the sound of traffic passing on the road outside. If your monitoring cannot reveal this deep sonic information a secondary option is using a spectrum analyzer like Voxengo Span (free) to visually get an impression of what is below 50Hz. Reducing dynamics and adjustment of tone. Too much compression and too much 3.5kHz is clearly not the way to build a good mix down ! Harsh mid range laden sound without punch and impact is not the way to a good mix. Whenever striving for a louder mix one must always consider quality, creative and production goals. Volume can also be a relative perception, a sound or musical passage that is at digital full scale will often sound louder if preceded by a quieter sound or musical passage. Are you hearing what is really there ? I think every blog article I have written always comes back to quality of monitoring and room acoustics. Without these fundamental monitoring arrangements in place there will be guesswork and that is going to be at best 50/50. It is a really bad place to be for learning how to record and mix. There are enough obstacles to making a good mix down when learning music production so do try and remove the acoustic problems you have, even some low end monitors can produce an accurate sound in a very well treated room (from standing waves and excessive reflections). If you are becoming serious about music and mixing this fundamental issue must be nailed sooner rather than later. The monitoring and room acoustics are the foundations upon which every sonic decision is made. And an untreated room is by far the greatest obstacle to hearing what is really happening to sounds being manipulated and mixed. So put yourself in pole position and take serious the need for accuracy. 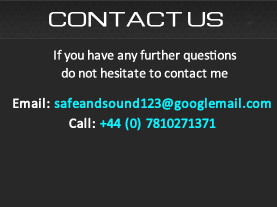 From here you can build upon your mistakes and achievements with confidence and really accelerate your mixing progress. I cannot stress this enough, start off on the right footing and all your sonic work will improve and progress will be more swift and confidence building. Sparse arrangements can often get louder to the ear easier, my theory is there is simply less to distort and less overlap between sounds making the sonic tapestry less dense and complex. Highly rich sound sources are already sonic-ally complex and introducing loudness processing such as extreme eq, compression and limiting can mean that negative side effects such as audible distortion, collapse of the stereo image, loss of depth, space and fidelity can be compounded very quickly. Often densely arranged mixes can quickly lose impact and sound squashed and smeared. It is also worth noting that using RMS figures on a metering plug ins does not imply the truth to the ears when it comes to loudness. A couple of good examples are that excessive low frequency bass content will swell RMS figures even though the mix will not necessarily sound loud to the ear. An intense section of A capella vocal can read the same as a full mix down of an electronic track. In mastering there are also multiple ways to increase the loudness of music but again with consideration to fidelity. It is remarkable how quickly fidelity and mix character can dive bomb if music is mastered loudly beyond its optimal “middle path” compromise between perceived volume and fidelity. So to summarize there are tools in mixing that can help with creating a louder mix presentation, they should however be always used in context with good tonal and dynamic taste relative to the combination of instruments and arrangement of the songs/tracks. Hard and fast rules cannot be applied to loudness making as the processes will be relative to any specific piece of music from any given genre, each of which will have many differences and complex interactions that make up a great listening experience. Perceived loudness is however worth knowing about and considering as part of a broader knowledge based technical approach to music making and mixing. 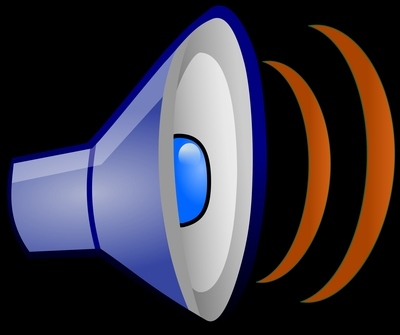 Focus on communicating the emotional message and feel and consider loudness as a secondary technical aspect of the end results. All rights reserved © 2013-2017 Safeandsound Mastering.